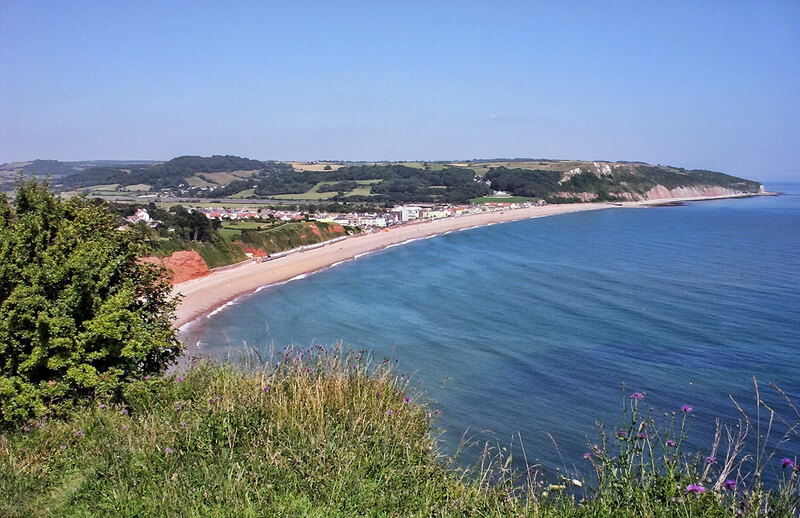 Seaton is a small traditional seaside resort, popular with families. It is Devon’s easternmost resort and lies on a flat site at the mouth of the River Axe. Seaton has been a resort for more than a century, and has many small shops, restaurants and cafés. It holds a Carnival Week from August bank holiday weekend each year, ending with a procession of illuminated floats passing through the town centre. The south-facing beach slopes steeply towards the sea. It is crescent shaped with red cliffs along one side and white cliffs along the other. There are few impressive buildings along the esplanade but plenty of attractive gardens. In the summer there are open-air trams that run along the bank beside the marshes, across the river and then up to the medieval market town of Colyton. There is a mile long beach opening onto the waters of Seaton Bay, and offering various water sports including sailing, swimming, diving and windsurfing. 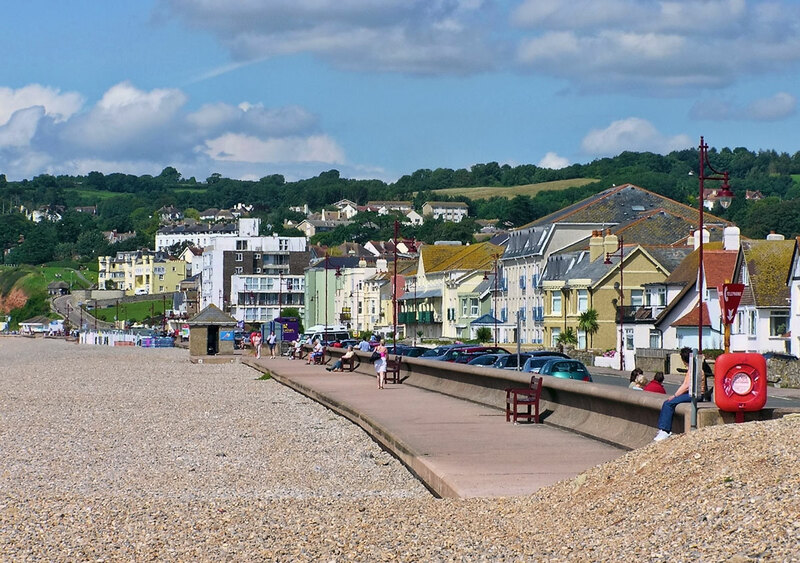 The South West Coastal Path runs along the seafront and walkers can follow it either westwards to Beer, or eastwards towards Lyme Regis. Next to the Tramway and Information Centre is the new Seaton Marshes Nature Reserve, which has a bird-watching hide. There is also a children’s playground. The Sea Discovery Centre is on the eastern side of the river, technically in Axmouth. It hosts a large range of sea life from Seaton Bay. Cliff Field Gardens give fine views over the bay whilst the Jubilee Gardens offer bowling, putting and tennis. The Axe Valley Heritage Museum is in the Town Hall and holds a fine collection of local photographs, together with various displays including archaeological finds, the Roman site at Honeyditches, natural history of the area and Victorian costumes. Only a mile from Seaton is the village of Beer, where the shingle beach is framed by white cliffs and a small fishing fleet still operates. Buildings along the main street are cob and thatch and many are built with the famous local stone. This stone has been quarried since Roman times and was used in the construction of Exeter Cathedral. Part of the quarry, with its huge underground chambers, can be visited by the public. The village used to be a smugglers’ haunt and there are many old tales and legends about their doings.